Robert Hatch’s conflicted review of Stanley Kubrick’s great satire, released fifty years ago this week. Robert Hatch, The Nation’s longtime film critic, prized his precious comfort somewhat less than Crowther, and had less squeamish taste, but his February 3, 1964 review of Dr. Strangelove reflected similar qualms, while recognizing that Kubrick—together with screenwriter Terry Southern (a frequent Nation contributor in the early 1960s and late 1980s) and the great Peter Sellers—had created nothing less than a masterpiece. Hatch appreciated that the disruption to the viewer’s comfort was intrinsic to the very point and power of the film. “The spectacle of George Scott salivating over the prospect of destroying every human being east of the Danube at the cost of only a few million American lives is a tour de force in nausea,” he wrote. Hatch, of course, had no illusions that Dr. Strangelove’s forceful truth-telling would profoundly change the terms of the Cold War. Mr. Kubrick is a bold man: he has taken a whole complex of America’s basic assumptions by the shoulders and given them a rough shaking. And he has done it in a rough style that pays little heed to camera niceties or the normal luxury of commercial filmmaking, but throws all its emphasis on bravado acting and rapid, uncompromising melodrama. The picture sometimes falters into too obvious gags…but overall it holds a cold blade of scorn against the spectator’s throat. The danger is that it will be cheered by the people who already agree with it and resented by those still unconverted. Kubrick can argue with good logic that if you are to expose the fallacy of depending on the hydrogen bomb as the last bastion of a free society, you must also expose the ignorance of bigotry that invents and fosters such nonsense. But he and Terry Southern take a pleasure in flaying their contemporaries that may be more effective as sadistic humor than as adult education. The idea of abolishing nuclear weapons from the American arsenal was raised in Jonathan Schell’s groundbreaking report, The Gift of Time, published in a special 1998 issue of The Nation and later as a book. It has been endorsed in recent years by former secretary of defense William Perry, former senator Sam Nunn, and former secretaries of state Henry Kissinger and George Schultz—the so-called “four horsemen of the nuclear apocalypse”—and by President Barack Obama in his Prague speech of 2009. 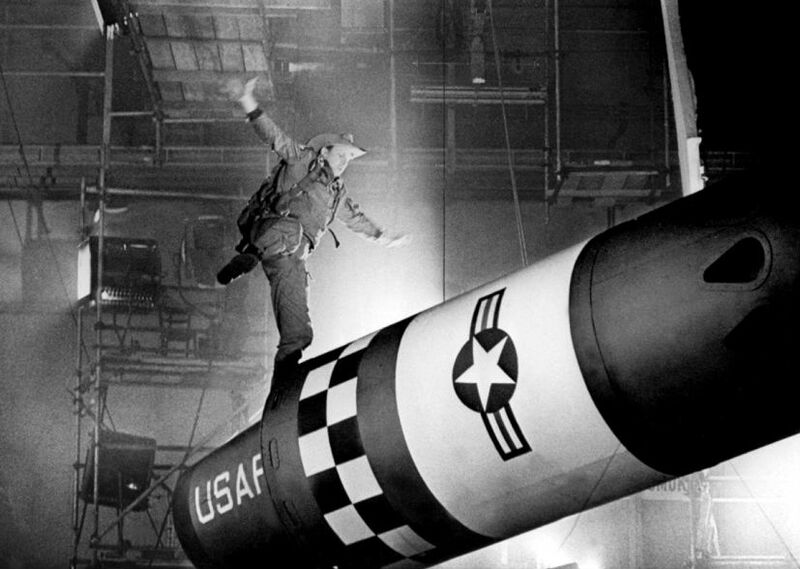 If the 100th anniversary of Dr. Strangelove is to be celebrated in 2064, the abolition of nuclear weapons must assume a central place on the national agenda.